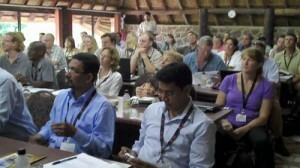 In January the International Elephant Foundation (IEF) and the National Zoological Gardens of South Africa co-hosted the 2010 Elephant International Conservation and Research Symposium. Support and sponsorship of the Symposium is a key component of IEF’s mission to provide support for in situ and ex situ conservation of elephants. The Symposium is a multi-disciplinary meeting dealing with issues from veterinary care to management to field conservation and human elephant conflict. During the course of the meeting, the international participants are encouraged to exchange ideas, network and form partnerships that ultimately benefit the elephants with which they work. As in the past, the 2010 Symposium provided an opportunity for participants to discuss elephant conservation and research concerns. With this meeting being held in Africa, the ivory issue including the recently announced proposals from Tanzania, Zambia and Kenya, was a major topic of discussion throughout the course of the symposium. After much consideration, the majority of the participants agreed to adopt the attached statement to express their consensus view to the proposals. However, the statement was not intended to and does not necessarily represent the views or opinions of the International Elephant Foundation or the National Zoological Gardens of South Africa. This annual symposium, which is in its tenth year, is a multi-disciplinary meeting attracting elephant enthusiasts from around the world. 2010 Symposium topics included veterinary care to captive management to field conservation, to mitigation of human elephant conflict. Eighteen different countries were represented by 91 participants with many different beliefs, ideas, cultures, education levels and experiences. This symposium is the only such meeting where field conservationists from Asia sit down at the same table as the elephant manager at an African Safari Park, as a veterinarian from the US, as a behavior researcher from Europe. This meeting is for the participants so that they can exchange ideas, network and form partnerships that benefit themselves and the elephants with which they work. This meeting, being in Africa, involved the largest number of African field conservationists yet to attend an International Elephant Conservation and Research Symposium. This meeting also attracted a large number of Asian colleagues and the synergy between the two groups was exciting and resulted in a number of future collaborations between Africa and Asia especially in the area of education and conflict mitigation. Naturally since the meeting was in Africa, issues such as the legal sale of ivory versus poaching was discussed as well as the human impact on elephant populations such as fencing, artificial water holes and the development of community programs that support and are supported by wildlife. Multiple presentations addressed programs that are successfully assisting people who are living with elephants in Asia including an interesting paper on civil engineering solutions for maintaining elephant corridors. Two sessions dealt with male and female elephant reproduction and recent information on the efficacy of immonocontraception in private reserves in South Africa was presented. The last day of the meeting focused on the management of elephants in human care in Africa and Asia. One very interesting paper by the owner of an elephant back safari operation in South Africa demonstrated how elephants might be used for the detection of illegal ivory caches and land mines. The National Zoological Gardens of South Africa (NZG) were wonderful hosts designating the Kwalata Game Ranch as the symposium site. 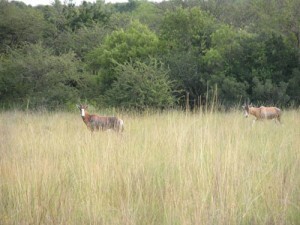 Kwalata Game Ranch provided very comfortable lodging in the midst of a thriving population of wildlife. 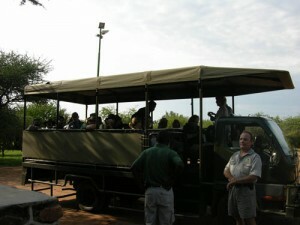 Before and after sessions, Kwalata Game Ranch offered viewing of the wildlife by vehicle, on foot and by horseback. 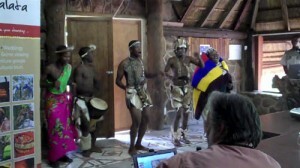 In addition, the NZG arranged a visit to the zoo for the participants and an evening to sample the culture of the area. The International Elephant Conservation and Research Symposiums are respected for bringing together people who otherwise would never have a chance to meet; and opening lines of communication and understanding therefore advancing elephant conservation. Participants always look forward to the next symposium which in 2011 is tentatively planned to be in Europe. The participants to the 2010 International Elephant Conservation and Research Symposium discussed the upcoming proposals on the African Elephant and ivory trading that have been presented for the next CITES Cop15, which is due to take place in Doha, Qatar on March 13th to the 25th 2010. Tanzania from Appendix I to Appendix II, and a one-off sale of 89,848.74kg ivory from registered government-owned stocks. CoP15 Proposal 5 (Zambia) To transfer the population of Zambia from Appendix I to Appendix II, and a one-off sale of 21,692.23 kg of ivory from registered government-owned stocks. period to twenty years, and to eliminate export of worked ivory products from Namibia and Zimbabwe. The consensus view of the participants was that the current 9 year moratorium on ivory sales should be maintained, and should be applied to all elephant populations. Furthermore, the participants would be opposed to any further downlisting of any elephant population at this time. The purpose of the nine-year ivory moratorium approved at CoP14 in 2007 was to provide CITES Parties with a ‘resting period’ from debate on this issue – a period that is needed to tighten enforcement relating to poaching, illegal international trade and domestic ivory markets; to enable Parties to monitor the effect that a moratorium would have on illegal trade; and to enhance efforts to increase international awareness about restrictions on international ivory trade. Although the footnote approved at CoP14 is restricted to those populations already on Appendix II, many Parties present at the lengthy and difficult negotiations recall the spirit of what was finally agreed – that there should be no further trade proposals for at least nine years. The proposals from Tanzania and Zambia, which seek to transfer their elephant populations from Appendix I to Appendix II, with a one-off sale of ivory of 89,848.74 kg (for Tanzania) and 21,692.23 kg (for Zambia), change the spirit of this agreement and if they are accepted, they may set a precedent for further downlisting proposals at the next CoP. The widely-supported “resting period” will, in effect, never have happened. ILLEGAL TRADE STILL POSES A SERIOUS THREAT. Widespread poaching continues across Africa, and remains a serious threat to the long-term survival of some elephant populations. Poaching in Chad, for example, has reduced the population of Zakouma National Park from 3,885 in 2005 to just 617 in 2009. In September/October 2009 poachers killed the entire elephant herd in Sierra Leone’s only wildlife park. In Nigeria’s Sambisa National Reserve the population of elephants is also believed to have been lost entirely. There has been a significant and alarming volume of illegal ivory seized since CoP14, with all four sub-Saharan regions being affected. Several large seizures between January and November 2009, totaling more than 20,000kg, indicate that large, sophisticated criminal syndicates are involved in the trade. Considerable quantities of ivory continue to be offered for sale in domestic markets, and prices are increasing. ENFORCEMENT PROBLEMS IN ZAMBIA AND TANZANIA ARE OF SIGNIFICANT CONCERN. The proposals from Tanzania and Zambia contain little information concerning elephant poaching in those countries. However, a significant proportion (totaling 11,678kg) of ivory known to be seized in 2009 is reported to have originated in Tanzania. In addition, DNA analyses have identified both countries as sources of large amounts of illegal ivory. DNA analysis undertaken by Professor Sam Wasser at the University of Washington has identified the Selous Ecosystem in Tanzania (spilling over to Niassa Game Reserve in Mozambique) as the source of 5.2 metric tons of ivory seized in Taiwan and 2.6 tons of ivory seized in Hong Kong in 2006 (Wasser et al. 2009). Regarding Zambia, a 2007 study (Wasser et al.) identified Zambia as the source of an illegal shipment of 532 large tusks seized in Singapore and, the results of a 2008 study (Wasser et al.) suggest that 42,000 ivory hankos that were part of the same shipment, also originated in Zambia. The tusks and hankos totaled more than 6,500kg. The ETIS report notes that Zambia belongs to a group of countries “linked to large-scale ivory seizure events, indicating that highly organised criminal activity is a major feature of ivory movements involving this group”. The country is “currently active in the illicit ivory trade” and “illicit ivory trade remains a persistent challenge”. Ivory from Zambia is “usually” illegally exported to neighboring Malawi. Even the then Director of the Zambia Wildlife Authority, Dr. Saiwana, recently acknowledged that elephant poaching in Zambia had become a problem (The World Today, Friday 16th October 2009). Based on the ETIS report, among others, it would appear that neither Tanzania nor Zambia meet the precautionary requirements in Resolution Conf. 9.24 (Rev. CoP14) Annex 4, paragraphs A) 2) (b), which require that Parties be satisfied that a range State seeking a downlisting from Appendix I is properly implementing the requirements of CITES and has “appropriate enforcement controls and compliance with the requirements of the Convention”. They may also fail to meet the specific requirements of Resolution Conf. 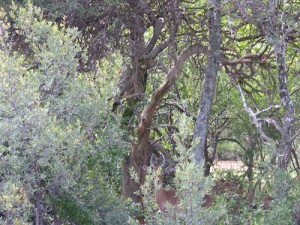 10.9 on Consideration of Proposals for the Transfer of African Elephant Populations from Appendix I to Appendix II requiring Parties to take into account “the affected range State’s ability to manage and conserve its population effectively” and its “ability to control trade in elephant ivory”.